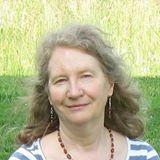 ​​I'm Karen Sternhell, a registered homeopath with over 20 years experience. My journey with homeopathy started after having post natal depression. Somehow I muddled through, feeling unsupported, lost and anxious that it could happen again. After going to a talk about homeopathy I realised (with enormous relief) I’d found something that made sense to me and which I could use to help me in future. It felt liberating and empowering. Fortunately, I didn’t get PND again but with a toddler and a baby I was exhausted and wanted to find out how homeopathy could help me. When I went to see a homeopath she listened, without judgement, and I felt heard. She wanted to know how I felt and how things were affecting me. She prescribed for me, and helped me to feel hopeful. I started to feel better quite quickly. I became more and more interested in homeopathy as I saw how well it worked. It was wonderful to have something I could safely use for both myself and my children, so went on to study and train as a homeopath. After four years training, I qualified in 1993 and registered with the Society of Homeopaths, the largest registering body for professional homeopaths in the UK. Since then I've worked with people from tiny babies to the elderly and all stages in between. They've come for help for a wide range of problems - physical, mental and emotional. I have a particular interest in helping people suffering from stress and anxiety, whatever the root cause. I enjoy attending regular study days, reading about homeopathy and related subjects and also contact with, and support from, other homeopaths. I am insured through the SoH and abide by their code of ethics.